Hey all! I’m back and getting back into the groove of the new normal that is my life. I feel like it’s going to take some time to adjust to this next stage of my life, and I imagine a lot of it will unfold in the blog posts to come, but for now, a little reflection on my honeymoon.Hawaii is the most beautiful place I have ever been. I literally was in awe of the natural beauty of the land. I took 400 pictures! Seeing as it was my first time, I wanted to see it all. After all, I don’t know how long it will take me to get back there (but I will go back). So this was not the relaxing vacation I had partially expected, but in removing myself from my environment, I was able to get my mind off all that I was dealing with at home and enjoy the adventure with my new husband. Many of our adventures involved driving around Maui. We drove 10,000 feet up the Haleakala Summit, an inactive volcano that is now part of the National Parks system. We also dared to conquer the infamous Road to Hana: 600 hairpin turns, 50 one-laned bridges, that lead to too many hidden treasures to take them all in. While the Road to Hana is known for being a daring drive, my husband actually found the drive up the volcano more challenging. But both trips were worth it. We were rewarded with amazing views, above the clouds, on the edge of the Pacific Ocean, on top of the world. 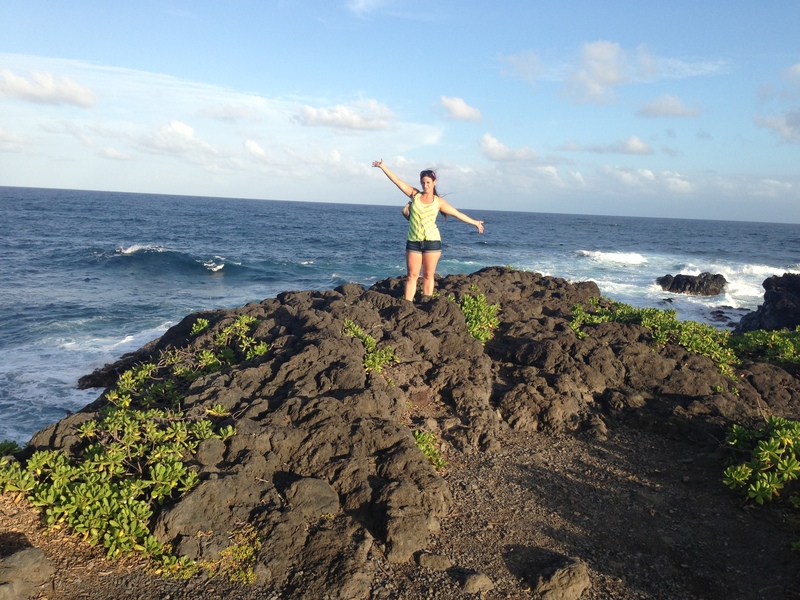 The theme behind the famous Road to Hana is this: It’s not about the destination. It’s about the journey. In fact, the town of Hana itself is quite small. If you blink, you will miss it. And some of the greatest sights you see on the Road are actually passed Hana. The journey takes a long time, with lots of ups and downs, scary treks down long trails, through water and rocks. Since you are sharing the road in both directions, you need to be mindful of when it is your turn to cross the one-laned bridges. The Road to Hana requires a lot of attention and determination to reap its many rewards. In fact, the Road to Hana is an amazing metaphor for life. Through all the twists and turns, the close calls, the beautiful discoveries and missed opportunities, the realization that you can’t do it all, the realization that sometimes you have to wait your turn, the fear and wonder of entering the unknown, the scary and amazing things you learn along the way, the Road to Hana is all about the journey. Life is all about the journey, and having someone to go through it all with is the most rewarding gift of all.